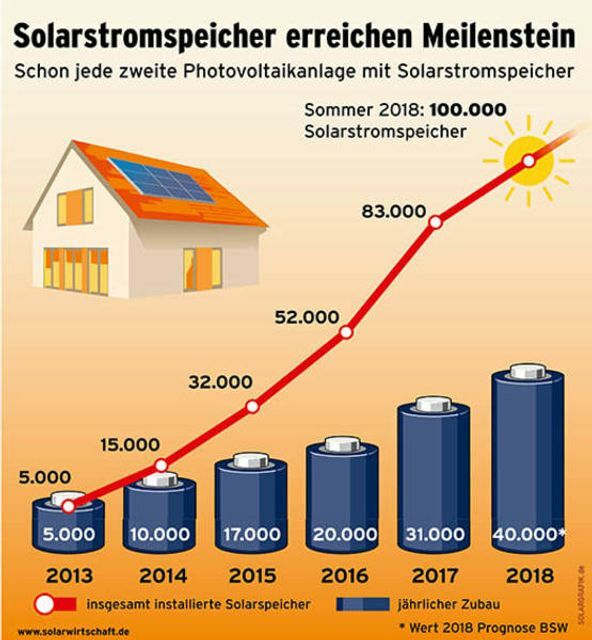 Germany has just reached a remarkable landmark by installing 100 thousand residential battery storage units nationwide. The concept of having a home based battery unit allows the resident to store electricity when the costs are cheap and utilise it when prices sky rocket when demand is high. This is increasingly beneficial if the resident also has a method of generating their own electricity via solar panels for instance which allows them to store generated electricity for later use. It must also be noted that you can export (sell) any electricity directly into the national grid network or even use it to power your very own electric vehicle. With an increasing amount of competitors in the market there are dozens of options to suit all needs - check out my previous passle on "Residential storage options - A clearer understanding..." which provides an insight into the current UK market options and a further article providing specs and pricing. After the climatic summer the UK and much of Europe has just witnessed, it is vitally important to store, manage and generate as much renewable generated electricity as possible.